This shirt is quite...interesting. It’s got the western-style shoulder cut, but no front pickets. It’s purple with red seems, some of which are frayed, but it can sometimes appear pink, depending on the light. There is also a very subtle pattern to the purple that is hard to see, but almost reads a bit like snakeskin. In Bugs (1x08), Sam wears this shirt after the second (spider) death, to the university to talk with the professor after finding the bones, and through the bug attack. 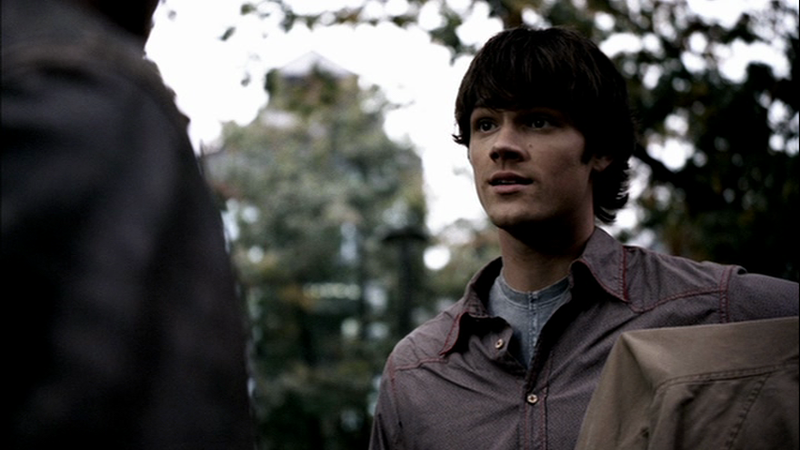 In Scarecrow (1x11), Sam is wearing the shirt when he decides to leave Dean the car and hitchhike by himself to California. 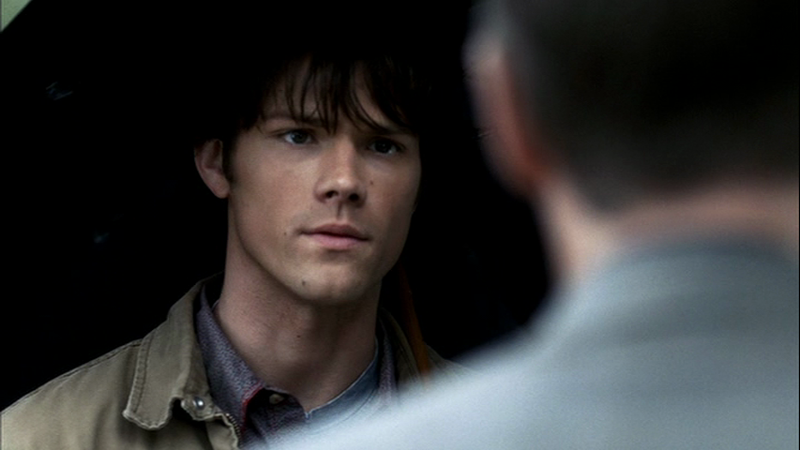 In Faith (1x12), Sam wears the shirt for the trip to Nebraska and Dean’s healing. In The Benders (1x15), Sam is wearing it when he is kidnapped by the Benders, but while he is unconscious, they strip it off him! He does not recover it at any point in the episode. I guess Sam must have recovered his shirt from the Benders after all because in Hell House (1x17), Sam wears it when he and Dean see Harry and Ed off at the end of the episode. I just bought that shirt and it is actually beige with very small red and blue flowers all over it. The colors can be confusing because of the filters, I myself thought it was a purple shirt until I took a closer look. In Faith you can actually see that it's a beige shirt :).